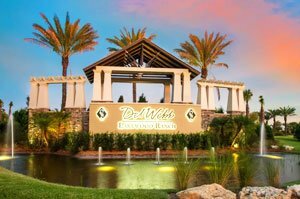 SARASOTA, FLORIDA, February 12, 2018 – Age 55-plus communities in the Sarasota area, such as Del Webb at Lakewood Ranch and Artistry Sarasota, got some added marketing lift recently, as our region was again featured amongst the top 30 small U.S. towns to retire. Other Florida markets in this list include Pensacola, Dunedin, and Fernandina Beach. News websites MSN and The Street came out with this best-for-retirement list using data from Topretirements.com, which claims having nearly 200,000 unique visits on its site monthly. Online since 2007, TopRetirements.com lists the most popular places to retire based on its readers’ interest and opinions. 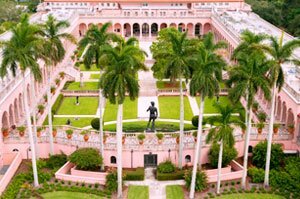 Sarasota is a “cultural powerhouse,” with attractions like the Ringling Museum of Arts and the Van Wezel Performing Arts Hall, Topretirements.com noted in installing our area as one of the country’s top destinations for retirees. Warm weather and access to the Gulf were likewise cited as plus points for seniors wanting to live in Sarasota. A weighty factor, of course, comes in the wide-ranging choices of age 55-plus communities offering various types of Sarasota homes for sale. Some of the choices Topretirements.com cited include downtown condos and apartments, luxury waterfront homes, and residences in exclusive, gated developments. For the latter types of communities, seniors searching for Sarasota homes for sale will find superb choices in the new development Del Webb at Lakewood Ranch. A home built in 2016 in this community was sales-listed recently with a tag price in the high $300s, featuring two bedrooms and two baths within a floor area of about 1,600 square feet. Larger choices are also available in this development by Del Webb, national homebuilder D.R. Horton’s unit specialized in senior housing. These residences have floor plans up to about 2,500 square feet designed with three bedrooms and three baths, and priced in the $400s. From this price point up to the $500s‒$600s, even bigger options on new builds are now offered at Artistry Sarasota. Located on the eastern end of Palmer Boulevard, these residences come in three-to four-bedroom layouts and living areas of approximately 3,000 square feet. At Sarasota’s northern neighbor Bradenton, age-restricted communities further expand the home choices for retirees. One of the newer picks here is Mirabella at Village Green vaunted for its energy-efficient residences with floor areas of between 1,500 and 1,800 square feet. Designed with two to three bedrooms and up to three baths, these newly built homes are priced in the $300s and the $400s. Easier price points starting from the $200s shall welcome retirees in Forest Creek, a residential development in Parrish. This gated neighborhood was meticulously developed by regional builder Neal Communities to preserve its pristine natural setting which has an 18-acre lake. In January this year, a 2012-built home was sales listed in this community with an asking price just a shade under the $300s. It features three bedrooms and two baths within its floor area of 2,220 square feet. The community’s amenities include features a resort-style heated pool/spa, clubhouse with billiards and fitness facilities and outdoor kitchen. Also available to residents are playgrounds, a basketball court, a lakefront park, pier, canoe launch, gazebo, and two dog parks. 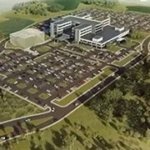 The community, in addition, has miles of walking trails meandering along natural Florida forest and preserve, which most seniors would most definitely enjoy.